Here’s what we think is in her cart. There’s only one person who could turn a deserted Target aisle into a catwalk, but do we really have to name names? While you’d assume that Beyoncé has better things to do with her Monday afternoon—say, mentally prepare for a 23rd Grammy win or better humankind with her goddess-like grace—we have official confirmation that the superstar, in fact, likes to start her workweek just like us: at Target. The singer was recently spotted at her local Target in Westwood, California, by fellow shopper, @monicaav30, who discovered the A-lister wandering the baby aisle. To our delight, Chrissy Teigen was as shocked by the down-to-earth moment as we were. So much so that she called Bey out on Twitter, writing: “Beyonce, you are so silly, I can just send you my new knives! !” Of course, the celebrity chef is referencing the recent launch of her exclusive Target line, Cravings by Chrissy Teigen. While it’s still unclear whether Beyoncé took Teigen up on her offer, we’re still here wondering… where are our free knives? If you spend your free time patiently tracking Beyoncé’s every move, then you already know that this isn’t her first Target run. According to E! News, the singer was also spotted last March in the checkout line with a cart full of toys and school supplies. 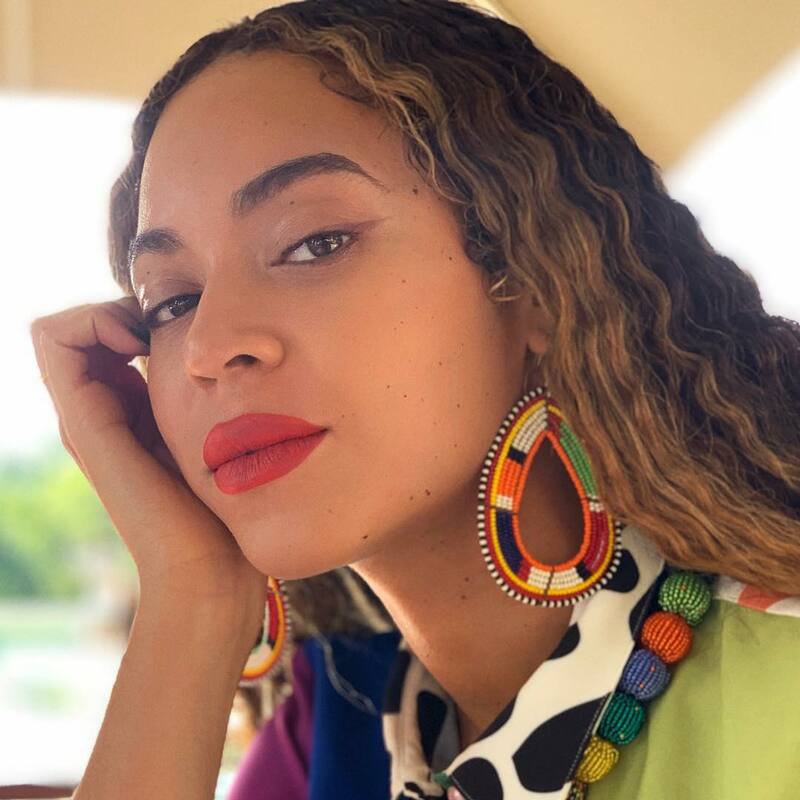 Aside from the fact that we wished we shopped at the same Target, the star’s guilty pleasure got our editors talking: What exactly is Beyoncé buying? We made a few educated guesses. Queen Bey’s wardrobe boasts no shortage of fringy embellishment—so why should her living room sofa? Not just a weatherproof throw pillow but an homage to a life-defining album. A textural catch-all so the A-lister can relive her boho-chic days, circa 2006. This pendant is as dramatic and fierce as Sasha herself. Just because the Houston-born artist has made a name for herself as a trendsetter doesn’t mean she can’t jump on a bandwagon or two. Our trend of preference? Pantone’s 2019 color of the year. For when the real lemons start rolling around on the kitchen counter. A cushy, cozy spot to rock Rumi and Sir Carter to sleep. We have a feeling this is why she was in the baby aisle. Is Beyonce Buying a $93M House?